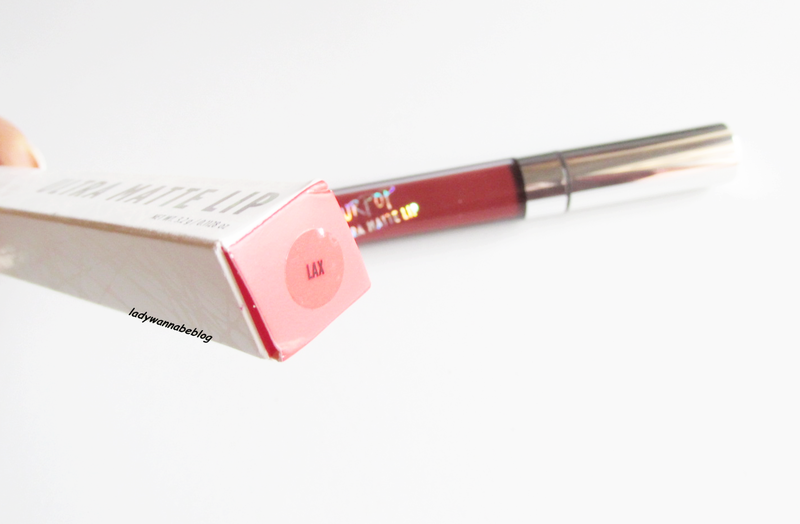 I'm sure some of you are already familiar with colourpop cosmetics, they have basically been everywhere since last year, I never got a chance to try their lippie stix -hoping to soon btw! 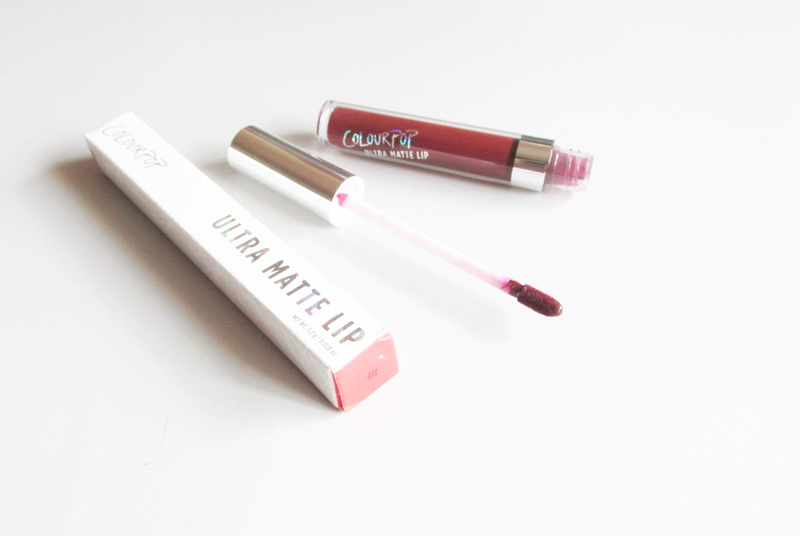 They recently came out with the Ultra Matte Lip which is basically a liquid lip stain/lipstick but with an ultra matte finish. 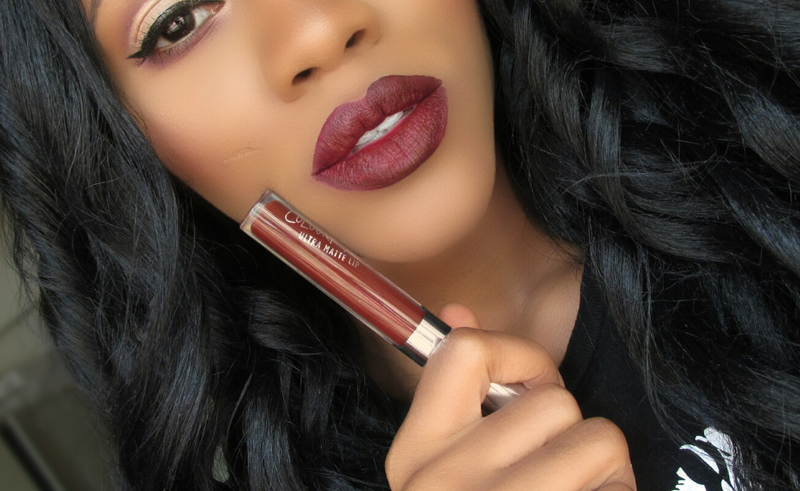 Colourpop says: This thin and lightweight formula glides onto the lips smoothly and leaves SUPER intense pigment-rich colour with a bold, ultra matte look. It’s very long wearing and completely kiss proof! It comes in a simple packaging with shinny prints on it, from the tube you can tell what color is in, it also comes with a normal lip gloss kinda applicator but a little stiff. First thing I did noticed is that it is a bit liquidy -ok not gloss kind of liquid- but liquidy compared to other matte liquid lipsticks I've tried. Just like other liquid lipsticks you have to be careful when applying but this doesn't set fast so you can still adjust, correct -you know what I mean- this shade LAX I got is very pigmented and a little goes a long way, the texture is between creamy and moussy, it applies smoothly with no streakiness at all but when you first apply your lips feel dry -like really dry- feels like you have a sellotape on your lips - but the dryness is for about 5-7 minutes. Like I mentioned earlier it doesn't set quick, it take about 5 minutes if I'm not exaggerating, the lips also feels dry for a while- but after about an hour it feels very comfortable and I didn't feel any dryness. Now unto whether it is kiss proof or not? absolutely kiss proof, doesn't transfer once it sets it stays put all day and even through meals and snacks it stayed strong -yes I even ate eba and this chick was on like that- though there was a little fading in the inner lips but only noticeable when you talk. Taking it off is super easy just a makeup wipe does the trick. 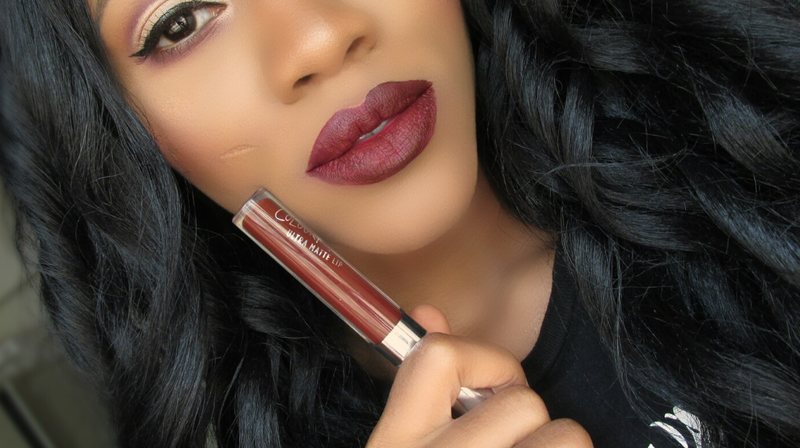 So in a nutshell the ultra matte lip is budget friendly, long lasting and kiss proof but if you are on a fast lane and want something that sets very fast you might not like it but then once it sets it stay on! 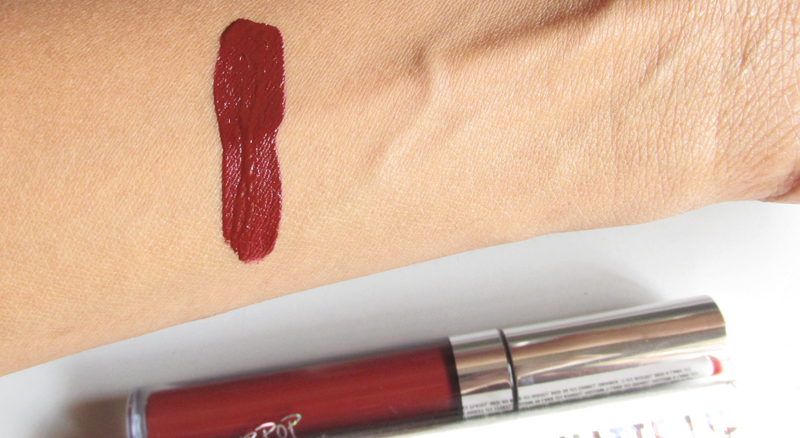 I did read and watch some YT videos saying the pigmentation depends on the color/shade but the shade I got which is LAX is super pigmented and it is a dark brownish red shade, a perfect vampy/fall lippy. Will I repurchase or buy other shades?! seriously I love it but I want to try other brands as well, but I recommend if you will love to check them out! again! the makeup lover side still wants to try limbo and tulle. LOL! 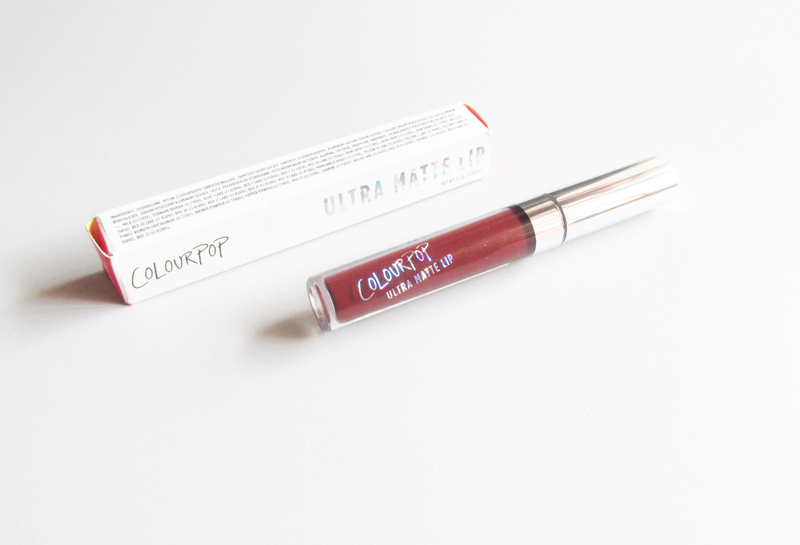 Have you tried the Colourpop Ultra Matte Lip?! which is your fave? I'll love to check them out! Have a beautiful day! and stay blessed! I love the fact that it doesn't set quickly allowing time for a perfect application. I haven't used it before but I like the colour especially on your skin tone. Wooah, honey!! What a gorgeous shade!! You look sooo damn beautiful! I am blow away!!! 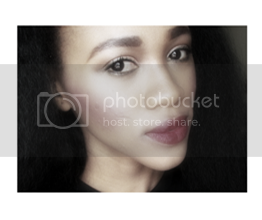 Perfect lips shape!!! Love matte soo much right now!! That looks crazy good! My only issue is a matte formula that's too drying. I also hope they start shipping international soon! Otherwise I'll use a mail forwarding service to get my first colourpop haul!